My Not On The High Street Shop and Great & Small range items are completely sorted for the festive season (she says, hopefully). This week my supplies and packaging have been arriving in the post, as I’ve learnt from last year and prepared myself in good time (again, I say this hopefully.) 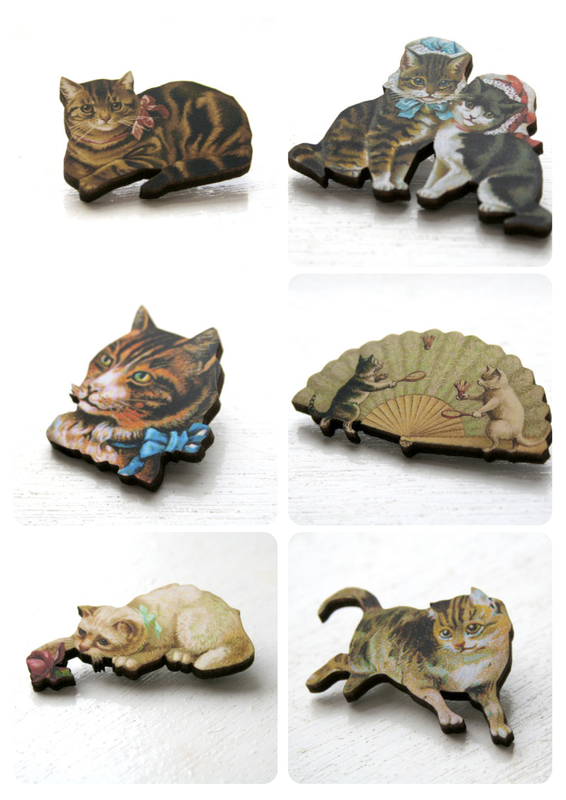 But I’m still finalising what to stock in my Etsy shop. 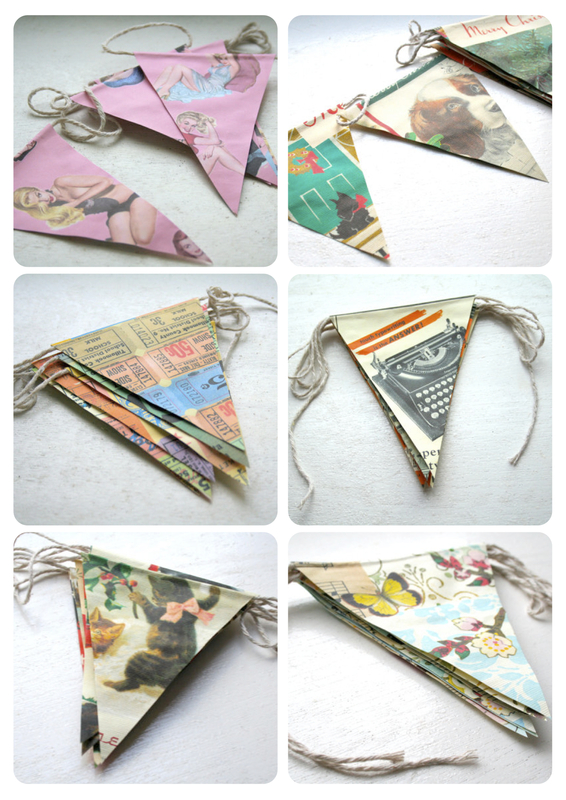 Would you prefer lots of vintage-inspired paper bunting, or lovely woodcut cat brooches? 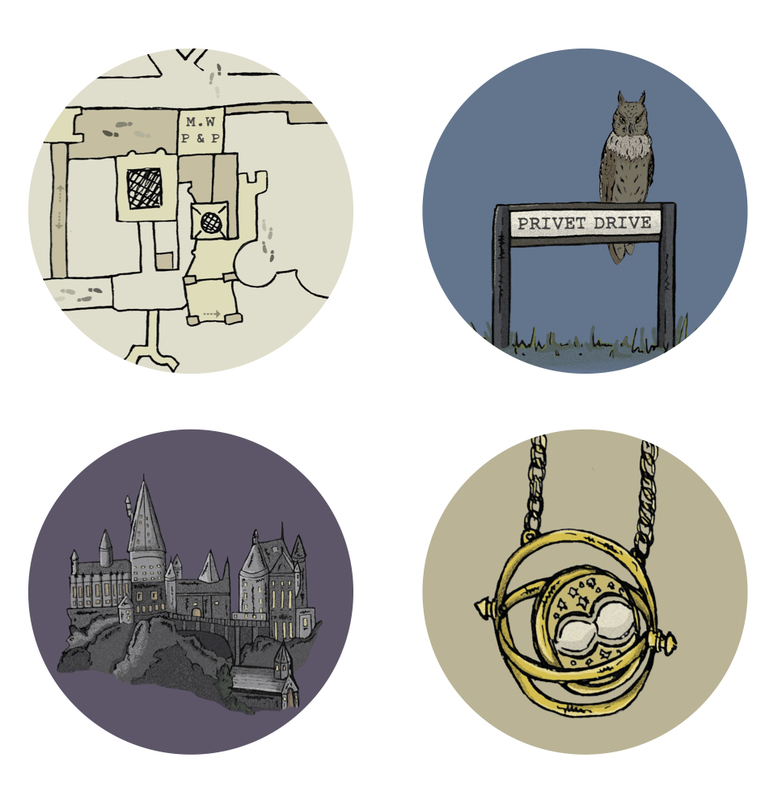 What about these new Harry Potter and Dr Who illustrations. 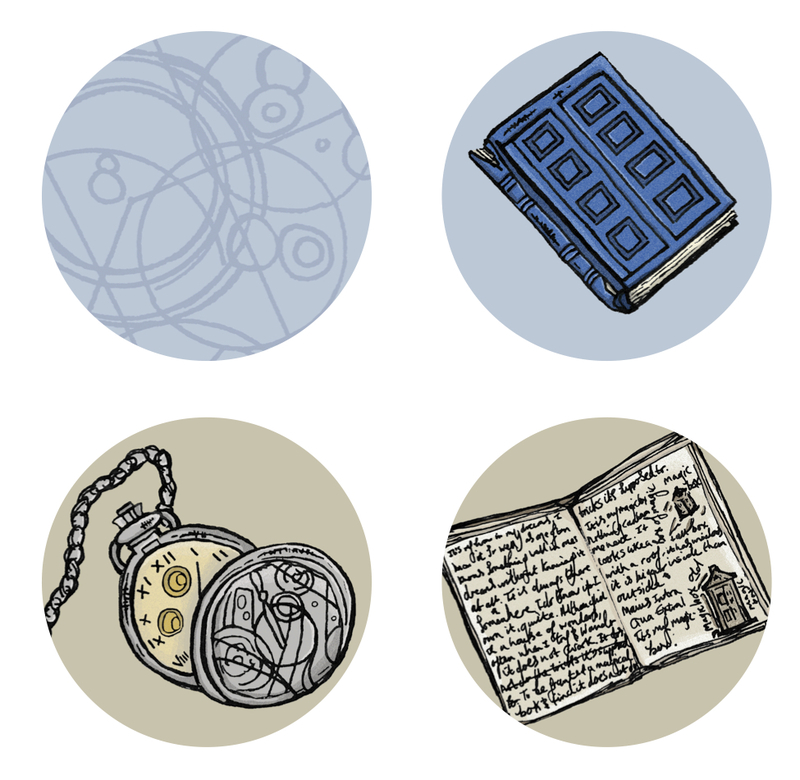 Would you be more likely to buy them if they were pocket mirrors or bin badges?